Park Loop Road offers scenic views, but it is winding and narrow and may be congested with vehicles. The road up Cadillac Mountain is very steep and can be dangerous. Bicyclists should use caution when riding on any park road. Slow down! Speeding can be hazardous. 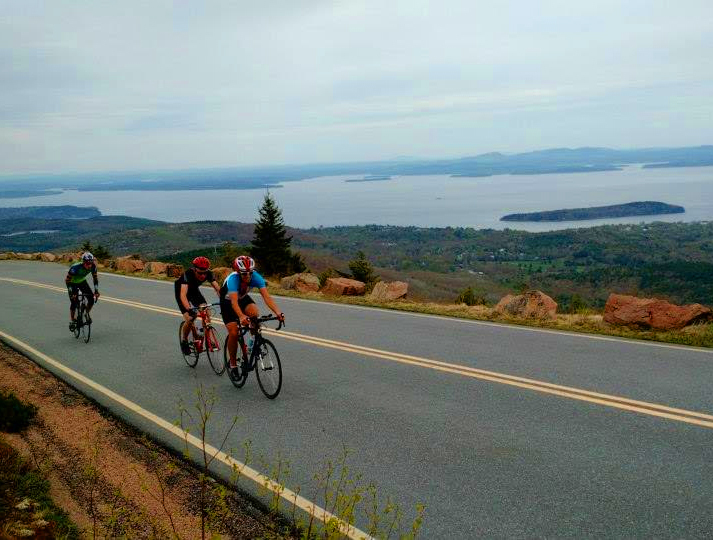 Biking is the perfect way to see Acadia National Park. With a combination of spectacular loop roads overlooking the ocean, and crushed gravel carriage roads that weave through the park, biking is the way to go! There are other private businesses that offer rentals and quick google search will yield many results if you can't find the equipment you need at Bar Harbor Bikes.